"Where people matter." Nice slogan, Howick. Now let's live up to it. 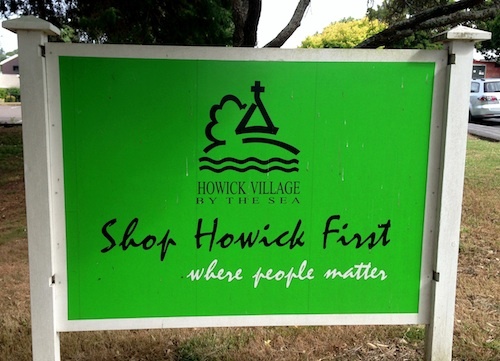 Tonight was a special meeting of the Howick Local Board (costing $20,000 it was said) requisitioned by the chairman Michael Williams (of whom I wrote about here: Politics is a full contact sport) and a handful of his supporters seeking to ‘remove’ Deputy chair Adele White … on pretty flimsy grounds. One of those grounds being that she was sometimes ‘diametrically opposed’ to Williams on the important (my word) Maori Affairs portfolio. Michael Williams hatched a scheme to sack his deputy chair and replace her with someone more sympathetic (to Williams, not to Maori): Jim Donald. Here’s Michael Williams’ somewhat shabby letter (PDF) seeking the meeting, and laying out his plan to axe Adele White. Pie eating bully boy Michael Williams still at it and Caesar Michael Williams facing court for drunk driving — based on his knowledge (and low opinion) of Michael Williams and what’s been recorded in the local newspapers. 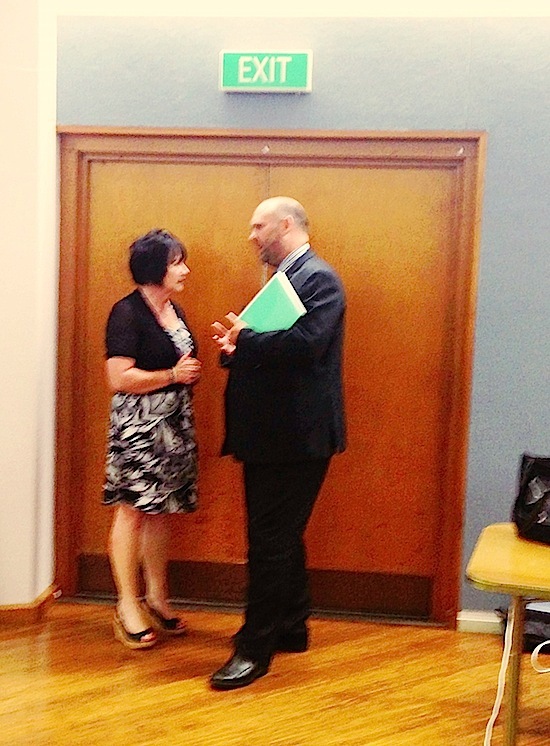 Howick Local Board Deputy Chair Adele White talking with Chairman Michael Williams tonight after she stared down his shabby attempt to force her out of the job. (Yes, that's an EXIT sign above him. Pfft!) Click to enlarge. The idea that Mr Williams should be able to sweep his deputy Adele White aside on such flimsy grounds struck me as unfair. (Not just me, obviously.) To replace her with Jim Donald — whom I personally regard as having anachronistic prejudice against Maori — was even more appalling. In the public forum, a number of us were given a chance to speak to the board for 3 minutes each. There was a great deal of support for Adele White. You certainly spoke for our family (residents of Mellons Bay) and, I’m very glad to say, from the applause, a resounding majority of our community. Well done, Peter! I am given to understand Jim Donald is actually a practicing Christian … I believe he is actually an ordained minister of the anglo-catholic persuasion. By all reports an upstanding man and quite a nice fellow (but you can never ever believe scurrilous rumours). Local stoushes … particularly in upper socio economic areas of suburbia … well! Something to celebrate over latte and chocolate-orange moccachino say what. Im glad to see such unadulterated and unfettered identification with and defence of … the downtrodden of society. One could perhaps ask that this crusading approach could well be taken with perhaps (dare i say it) more deserving communities … where others with less money and influence could benefit from “white” knights. Its got to be a possibility. Jim Donald has been nothing other than polite to me — but then I am a man. Several women in the community, Maori and Pakeha, have told me they’ve been made to feel very uncomfortable in some of their interactions with Jim, citing what they interpreted as his attempts to intimidate them. But that’s not been my direct experience. I have no idea nor interest in Jim’s private religious beliefs nor his public affiliations in that area. I celebrate the good he has done in the Howick community. 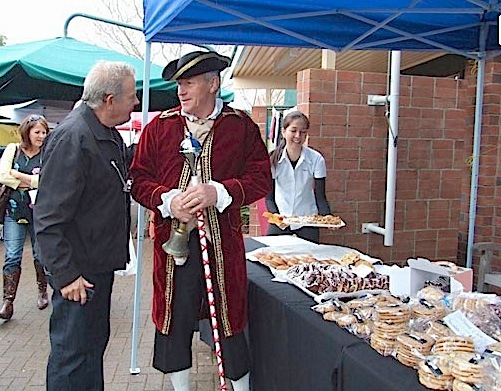 A lot of people in Howick like Jim who I saw act as the honorary Town Crier, complete with uniform, bell and stick, for some time. That seems fair enough. As I have noted here and elsewhere, I differ with Jim Donald’s views of the value and place of expressions of Maori culture in Howick — and the extreme actions his views have led him to take. I think he and former Howick community leader Russell Wylie shamefully discriminated (in my view) in favour of a local history and heritage obsessively and myopically limited to celebrating the white settler & Fencible past of this area. I cannot imagine another issue that would lead Jim Donald and his fellow Howick Local Board members to attempt a ‘declaration of independence from Manukau City Council’ stunt of the sort they undertook at the blessing ceremony for the rebuilding of the little whare in the Garden of Memories. Fixation. So, for Jim to apparently seek to be Deputy Chairman of the Local Board and to ‘assist’ Howick in the Maori Affairs portfolio … well, I don’t want to issue an unflattering comparison. Let me just say I personally don’t think that’s a good idea. Ivan, I personally don’t appreciate you being a smart arse snark in this case. 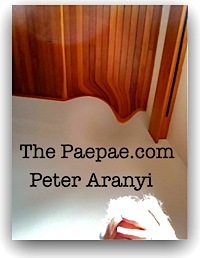 All the best for your own efforts building and preserving the community in your neighbourhood, wherever that is. Pete … its neither being a smartarse nor a snark … dont put something in then cross it out … it isnt clever or effective – just sort of … well contrived. If you think i was being a smartarse put it in and dont mask it. I could well say “i dont appreciate your levels of sneaky sarcasm and cafe-society pretension and simmering-below-the-nice-guy-facade-is-a-nasty-peter-who-sometimes-comes-out-to-play” … but i may well be completely wrong in that impression (and i suspect i am – sometimes) so i have to give you the benefit of the doubt. Plus … lets face it .. its your blog. However if you simply want people to slap you on the back or make no comment then say so? I didnt criticise you – i made a comment about a well-heeled community dealing with its stoushes. I’ve met Jim Donald once – via a particular circle of acquaintances some years ago. By the way – what is the Community Boards function – do they get paid – and what have they actually ever achieved for said community. You were proud of your contribution to that meeting and it shows. I wasnt pricking your bubble believe me. Committees (whatever form they take) are “pushme-pullyou’s” at best – and petty gangs of cliques and thugs at worst. A queer mixture of pseudo-religion and politics. Love (not at all) that song by the guy with the strange eyebrows … “dear god dear soul etc etc (cue obligatory scenes of the starving oppressed millions) “cant we all just get along ….” Short answer …. nope. Hey Ivan, you know, I hope, that I regard positively anyone who takes the time to comment thoughtfully on topics my blog … who adds to the discussion. I read your line “celebrate over latte and chocolate-orange moccachino say what” and references to well-heeled suburbia as a put-down. As if our local issues pale in comparison to others’. Perhaps they do (or should) but they are the issues we were dealing with this week. Proud? Well, it felt good to stand up and be counted. Someone with great experience in local politics told me today the Board members determined to remove Adele White *only* backed down because of the angry crowd who showed up to the meeting. I’m pleased the Board members came to their senses about the unfair way they were proposing to treat Ms White. Really, as I see it, Michael Williams should have stopped at asking her to resign and being declined, but he pursued it … seeking to demote a popular member of the community. Perhaps Mr Williams was looking to place an ally in the chair before he vacated it to face his drink driving and failing to accompany a police officer court charges. He’s in a stressful situation and maybe that factored in his decision-making. From memory, ordinary members of the Local Board are paid $37,000 and deputy chair $57,000 and chairman $89,000. I think they get meeting fees too. P.S. My use of strikethrough text is a stylistic thing. It entertains me, makes me chuckle. I’m sticking with it, contrived or not. Thanks for the feedback. Fair comment … but remember … i registered a perception – didnt ever claim it to be factual or in fact the truth – it wasnt a putdown and it wasnt aimed at you. A perception nonetheless. Its a bit like Gareth Morgan – so much money and time that his mission in life seems to be now – to tell the rest of us great unwashed whats good for us. Guess im sick of rich pricks trying to take the fun out of life for everyone else – so the angst over a wealthy suburban stoush sort of seemed funnyhaha to me. Amusing. Isnt it amazing what these people get paid for this public service. Thanks for the data. But … what do they do – what are they tasked with that your council cant do? Strikethroughs .. didnt ever think you would change it (cough – thats stylistic too…) – you are a man of style. Not a bad old bugger either – but i digress. After crowing to others that “my cat never kills birds” – the little bumhole went and aced a dove out of a group that keeps hanging around my aviary hoovering up the pickings that fall out from my tame birds. However – he didnt kill for fun – he ate the whole damn thing leaving only the feet and the beak. We do have tuis and bellbirds that are in the surrounding trees – he never bothers them and he does have a lot of noisy bling round his neck. However – he does stalk and occasionally ace very tame blackbirds, thrushes and now doves (who i think must have escaped from an aviary and hence are too trusting)who get drawn in by the aviary birds etc. Nothing to do with the post – but what the hell – why not trundle off course .. its summer and so nice it is! And as for local rags/sausage wrappers … those guys clutch at straws for anything newsworthy other than aunty maudes lost crochet patterns. Of course they are going to treat the stoush as news of the world. Rest of the time they employ people to con unsuspecting businesses to spend megabucks on ineffective advertising.